As Director of Regulation and Policy at Yoti, I’m delighted to see techUK highlight the importance of secure digital identities in their new white paper ‘The Case for Digital IDs’. They argue that as the UK pursues the ambition to be the world-leading online economy, the need for digital identities is becoming ever more apparent. 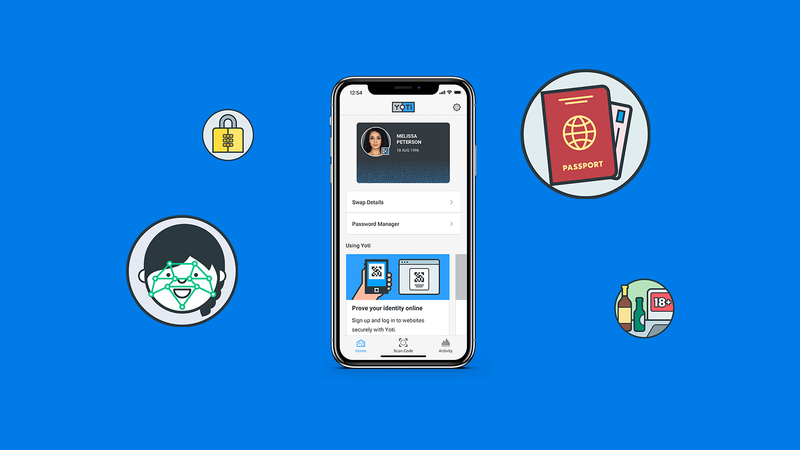 Without secure identity solutions, individuals cannot easily and safely connect to digital services. If they need to verify their age online, they currently check an 18+ tickbox or manually enter their date of birth – both of which are open to abuse and can be easily falsified by minors. This is something we’ve worked to resolve with Jägermeister, who have integrated Yoti into their online shop. Individuals can now use the free Yoti app to prove their age when buying age-restricted items on the new www.jagershop.co.uk. A secure and robust age verification solution for both consumers and retailers. Yet when we wish to buy alcohol from the supermarket, or prove our age at a nightclub, we are forced to show physical ID documents, which can be easily lost or stolen. Last year the DVLA revealed that Brits spent £18.6m on replacing lost and damaged driving licences, and approximately 10,000 passports are lost per year at bars and clubs. While digital identities are starting to be adopted by online retailers, UK bricks and mortar retailers must also have the support to adopt new technologies in physical stores. These technologies can help improve the customer experience, as well as meet the needs of regulators. Being able to use a digital identity to prove our age in a supermarket will allow us to buy age-restricted items without intervention or assistance from retail employees. This is not only quicker and less of a nuisance for shoppers, but can greatly reduce friction between them and retail staff. Customers will spend less time at self checkouts and employees can assist with other tasks, improving the overall shopping experience. The ever-improving quality of fake IDs also makes it extremely challenging for retail staff to confidently check someone’s ID. Digital identities will remove the pressure staff face when required to confirm someone is over 18. Digital identity technology doesn’t get fatigued on a long shift and cannot show favour to personal friends or bias against individual customers. As techUK point out in their white paper, digital identities are the key for consumers to unlock the full benefits of digital innovation. Not only can they be used to give us a simpler and safer way of proving our age when buying age-restricted items without having to show physical ID documents, they could also be used to securely interact with government services online, prove our identity to businesses and swap verified details with online buyers and sellers. Simply put, all you have to do is create your digital identity once and you can use it time and time again. Digital identities are not only more convenient, they’re also more secure. They let us share specific identity details, instead of disclosing unnecessary, sensitive personal information. This gives us greater data privacy and ownership to help fight identity fraud. With data breaches hitting the headlines every week, it has never been more important to protect our personal details. Furthermore, some people are socially excluded because they do not have access to a physical document. A young person who doesn’t drive or can’t afford a passport would find it extremely difficult to prove their age to buy energy drinks or to access an age-gated online chat room for young people. Money and age should not be barriers to proving who you are. A PASS card (proof of age card), such as CitizenCard, can now be used as an anchor document to set up a digital identity. And using age estimation technology Yoti Age Scan, individuals will be able to prove their age in US supermarkets by simply looking into the camera at the self checkout. Digital identity technology is creating greater convenience to many citizens. The States of Jersey and The Improvement Service in Scotland have both adopted digital identity technology to transition more government services online and give their citizens a simple and secure way to prove their age and identity to businesses. It is encouraging that airports like Heathrow are embracing digital identity technology to help passengers have an easier and more convenient journey, and that the FCA is keen for financial services companies to embrace digital identities as part of the KYC process. Now the Home Office has just launched a smartphone app with identity document verification for EU citizens applying for Settled Status we will maybe see some changes for other sectors. Clearly if a digital identity smart phone app is secure enough for immigration the same approach should be secure enough for age restricted purchases. It makes sense to create parity in the acceptance of digital and physical ID methods for age and identity both online and offline. And parity in enforcement. We need to remove barriers to the UK developing, deploying and adopting world-leading digital identity solutions and ensure the UK builds on its world firsts - the PAS 1296 standard for age checking and the BBFC audit framework for age proofing compliance under the Digital Economy Act. Between 20 and 25 million adults are expected to be age verifying digitally to access adult content. Hopefully soon there will be parity and we will also be able to use our identity apps at self checkouts and on nights out. This will also lower the cost of digital identity for the public purse.